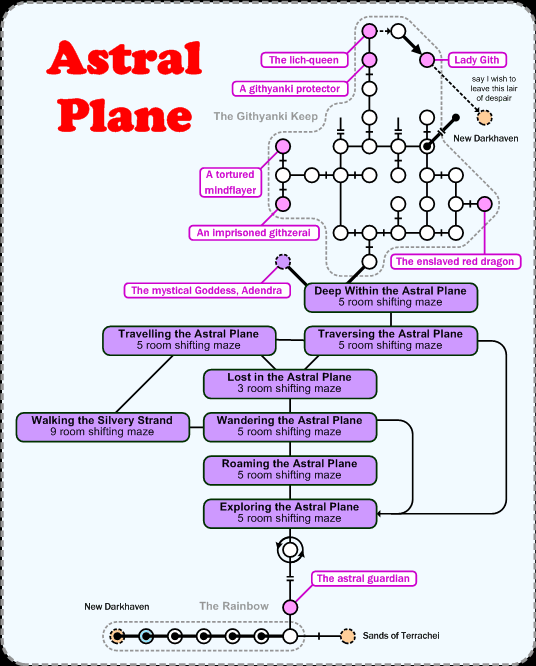 The Astral Plane - mostly a series of mazes. Both Malsangre and the messenger of the gods wander here, the quick ways to Scourge of Time and Olympus respectively. Walk ( 3u ) to get from DH to the room marked in blue.